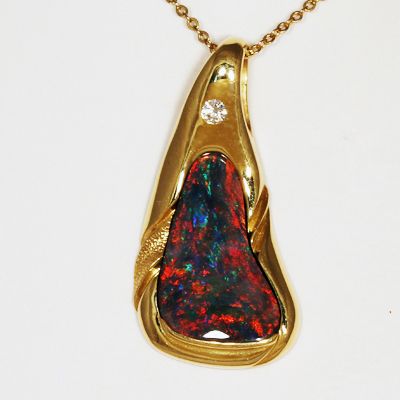 Large TOP QUALITY red-blue multicoloured opal. Bright and rich colour. Cherry red, blood red, orange and blue purple are moving across the opal is a spectacular show, jumping out of the opal as it is rotated. The colours move in gentle rolling flashes, showing the opals full potential all of the time. This breathtaking opal shows gorgeous and very vivid colour from all angles. A gorgeous top quality opal with full time colour.